A simple elegant table lamp by the French company Genet Michon. 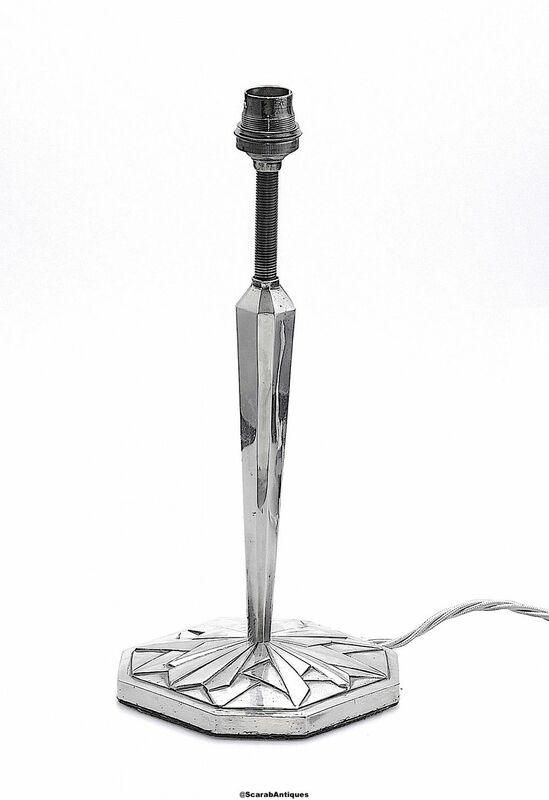 Made during the Art Deco the silver plated octagonal base has a raised geometric pattern beneath an octagonal flared column with a waisted octagonal top. One side of the base is inscribed "Genet Michon"